An exhaustive account of the life of the Punjab CM, and the impact he has had on the state. Writing a biography is an art. How subjective or objective the outcome is depends upon the vision of the writer as well as the angle chosen to frame a perspective. 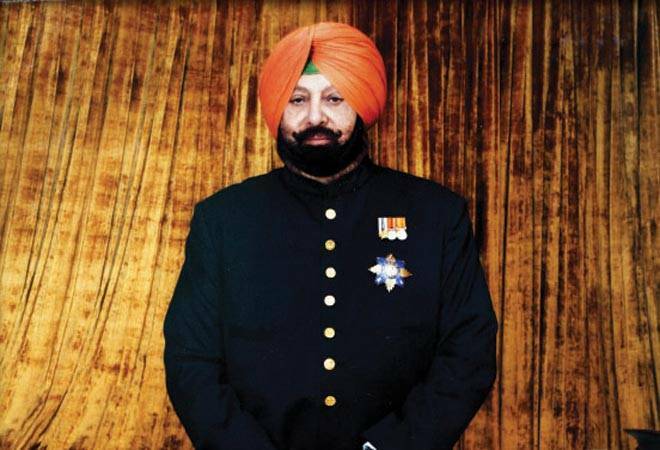 Captain Amarinder Singh: The People's Maharaja is an 'authorised' biography by Khushwant Singh which is neither about a conventional politician nor is it conventionally written. The first four chapters chronicle the Patiala Royals' lineage (12th to 21st century), historical background, lifestyles and lavishness of the palace life, and early years of Amarinder's upbringing; the following three relate to his academics, military service and marriage. Thereafter, the narrative traverses the political landscape he straddled, and his keenness to be an entrepreneur, among other aspects. The rest of the book is a recall of the period of Punjab's travails, tribulations and politico-religious ups and downs, and the ascent of terrorism. Also, Amarinder's role in 28 meetings (secret) between the Centre (Congress) and the Akalis, and also with Sant Jarnail Singh Bhindranwale; his flirtations and experiences (post Operation Bluestar in 1984) with the Akalis of different hues and ideologies, if any, and their idiosyncrasies; his stint as Chief Minister (2002-2007); defeat of the Congress in 2007 Assembly elections; his win in the 2014 Parliament election; and his journey thereafter. While the storyline focuses on what Punjab experienced and suffered, the author has deftly woven into its tapestry the role and contribution of Amarinder as a "secular" politician with a vision and passion of a "nationalist' who never "compromised" with his courage of conviction and never "endorsed" the ideology (so-called) of the radicals. The author has copiously quoted Amarinder, his colleagues and friends to bring out the Maharaja's contribution towards making Punjab a "modern" state. In the following chapters, the author has chronicled major events in the political, socio-economic, agricultural and industrial spheres that impacted Punjab, Punjabis and Punjabiat, as also the role Amarinder played in the myriad crises. If the author has been economical in using adjectives to praise Amarinder and build his image, he is equally guarded not to name and shame his coterie of co-travellers - politicians and bureaucrats - which was identified as a major reason why the Maharaja got negative press as the chief minister. Where the author subtly recounts pluses and minuses of Amarinder's stint as Chief Minister, he also vividly lists his streak to experiment and face repeated failures; his flip-flop on policies and governance; his weakness (taking fellow humans at face value), etc. The book also reveals Amarinder's 'attitude' towards the Badals, particularly his bÃªte noir Parkash Singh and how their estranged relationship has had a cascading negative impact on the state and its politics. The book is replete with untold, interesting incidents and anecdotes that Amarinder has had in his long stint as a Royal, a soldier, a politician, author and historian. The contents provide to Punjab watchers and analysts a lot of cud to chew. Read this informative book to know the story behind Scandal Point at the Mall, Shimla, or how the term Patiala Peg got coined, and how Machiavellian interests have harmed Punjab and tarnished its image. The reviewer is a former information commissioner of Punjab.